Kona, located on the big island of Hawaii, sets you right in the middle of the beauty that has made Hawaii famous. Although Kona is quite the bustling seaport and cruise port town, this island remains largely undeveloped, which means the rainforest is lush, the water is gorgeous, and the landscape is dramatic and unspoiled. You will want to check out our Kona Excursions here that are sure to show you the best of this tropical paradise. Air-conditioned and licensed round trip transportation from your Kona cruise tender pier area! English speaking, local and trained Kona shore excursion guides! 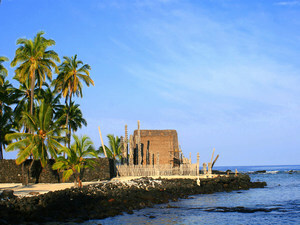 Visit the Puuhonua O Honaunau National Historic Park! Photo stop at Kealakekua Bay! Visit the Painted Church in Kealakekua! Escape the cruise ship shore excursion crowds and enjoy unique sights of Hilo and surrounding area! See the best of Kona on this half day program - historical highlights from the 18th, 19th and 20th centuries on Hawaii's big island. Great value! Air-conditioned and licensed round trip transportation from your Kona cruise tender pier! Scenic drive along the Kohala coastline! Visit Pu'ukohola Heiau National Historic Site! 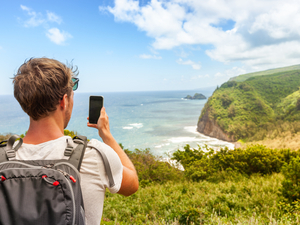 Visit Hawi, the birthplace of Kamehameha! Explore Lapakahi State Historical Park! Photo stop at Pololu Valley! Travel through scenic ranching land! Escape the cruise ship shore excursion crowds and enjoy unique sights of Kona and the surrounding area! 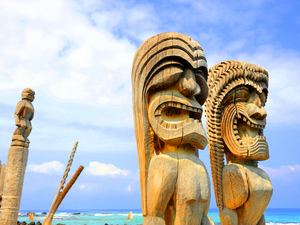 Learn more about King Kamehameha, the first ruler of the Kingdom of Hawaii, and get a glance into the Hawaiian way of life on this scenic, small group Kona excursion. Air conditioned and licensed round trip transportation from your Kona cruise tender pier! English speaking local certified Kona shore excursion guides! Scenic drive along the Ali'i Drive! Photo stop at Kuamo'o Bay! Tour a coffee farm and sample fresh Kona coffee! Photo stop at Kealakekua Bay and Captain Cook Monument! Visit Pu'uhonua o Honaunau Historical Park! This exclusive small group, half day tour is a great introduction to the Big Island of Hawaii and the famous Kona coast. A little history, some white sand, a taste of Kona coffee and a big sampling of the Hawaiian way of life will make lasting memories for you. Only a maximum of 12!